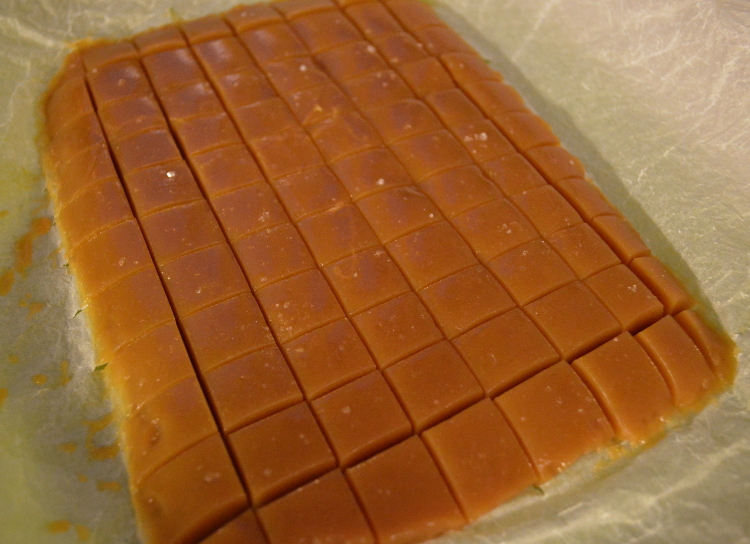 Caramels, Fudge, Toffee…if it’s sweet and sticky, I will like it! I came across this recipe on Pinterest and since I love a bit of salt in sweet things it got my attention. 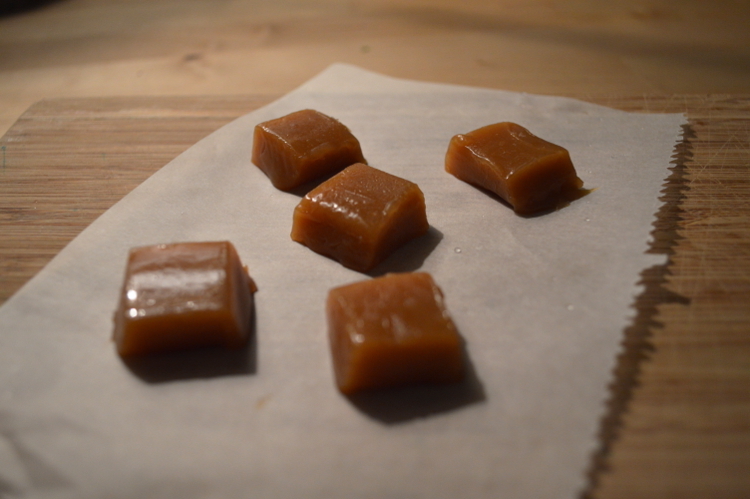 The caramels were easy to make and they will melt in your mouth, although it did take a while to reach the right temperature. I didn’t have corn syrup or heavy cream so I changed the recipe a bit but they turned out just fine. Line a casserole dish or baking tin with parchment paper. It’s more easy if you put the paper under running water, fold into a ball and then squeeze the water out. 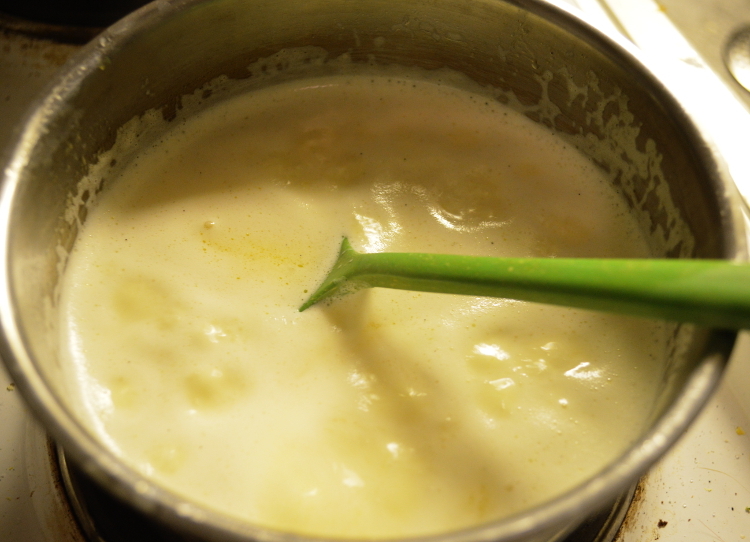 Put the butter, cream, whiskey, vanilla and salt in a pot and bring everything to boil while stirring. Take it off the heat afterwards. Mix the syrup, sugar and water in a second pot and bring it to boil over medium heat. Don’t stir it. 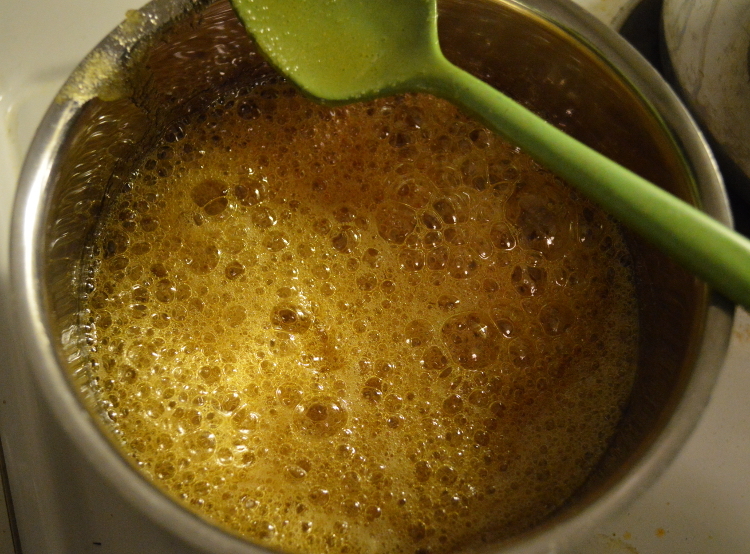 Let it boil a few minutes or if you use light syrup until the sugar turns golden. Take it off the heat and pour the cream/whiskey mixture into the sugar one. Make sure to stir carefully since it will bubble up! Put it back on medium heat and boil it until it reaches 120°C on a candy thermometer. The original recipe said it would take around 10 minutes but I boiled it for ages! So, don’t give up, it will take a while. 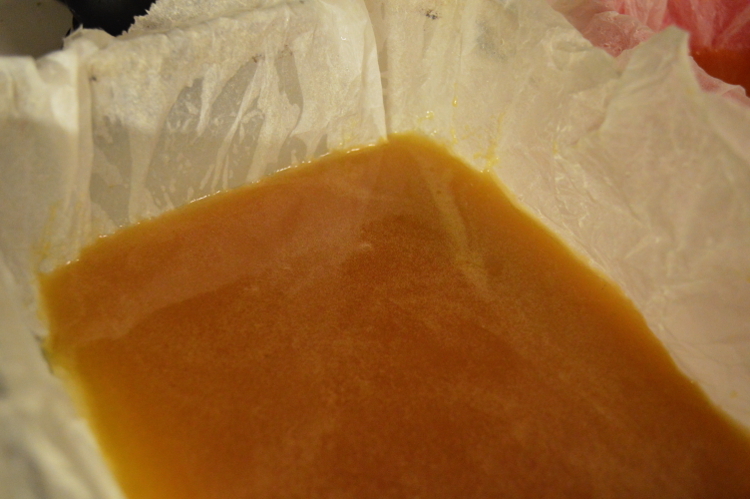 The mixture will get thicker and thicker like candy. To make sure it’s done you can also take out a small amount with a spoon and drop it into really cold water. If it’s firm enough to form a little ball the caramel is done. Pour the mixture into the prepared dish and let it cool down for 10 minutes. You can then sprinkle the caramels with a bit of salt. After cooling down completely you can cut them into pieces and eat them all at once! If they’re supposed to be a gift separate the pieces in a box or candy bag with little pieces of parchment paper and put them in the fridge until you give them away. Otherwise they will just melt together. Enjoy!